Today I’ve got Helen Ingram from Woolly Chic coming around for a virtual cuppa. Grab one too and join us for five questions. This summer Helen launched her Woolly Chic Pembrokeshire wool. A blend of Dorset, Ryeland and Texel wool; she has named this yarn after the Welsh location of the flocks on her family’s farm. When did you start Woolly Chic and what was the driving force for you to work with British wool? 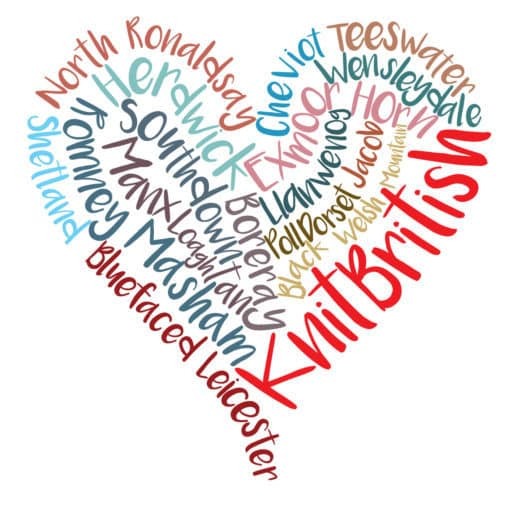 When I began designing crochet and knitting patterns in 2012, I couldn’t find any British wool in the colours I liked and that suited my designs. With so many sheep farms in the UK, I couldn’t understand why there was not more British wool available. I grew up spending every summer and visiting my aunt and uncle on their sheep farm in Wales and the thought came to me, that if I couldn’t find British wool in the shops I would try to get commercially spun some of the sheep’s fleece that had been farmed by my aunt and uncle, and now also my cousin. I love the feel and properties of wool and feel passionate about supporting British farmers and it is lovely to create crochet and knitting patterns using yarn that came from sheep that graze on my family’s farm. So tell us more of this woolly family affair? It’s definitely a family affair; not only does the wool come from my family’s sheep, but I can thank my mum for teaching me to crochet and knit and she and my aunt are very much the people I look to for advice on any wool related subject! The whole family help me at wool shows, with my dad being fantastic at putting up my display, and at one Wonderwool Wales show, my uncle brought three sheep to be in a pen next to my wool! I started out with small amounts of fleece being spun by the independent spinning mills in Cornwall and Wales, and was encouraged when this wool sold well and the feedback from people buying the wool in my kits, was that they loved the fact that I knew exactly where the wool came from. 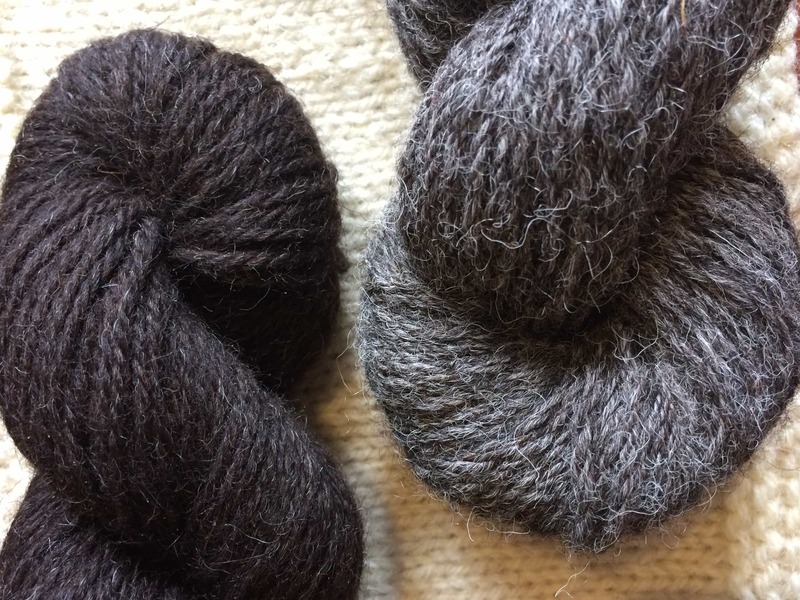 Last year, I sent 500 kilos of raw fleece from my aunt’s flock up to a spinning mill in Yorkshire and with a proportion of that fleece, I have just launched a new range of DK and 4ply Pembrokeshire wool. This did take a lot of organising, as transporting that amount of fleece is no easy job! Thanks to my aunt, uncle and cousin for sorting that side out for me. 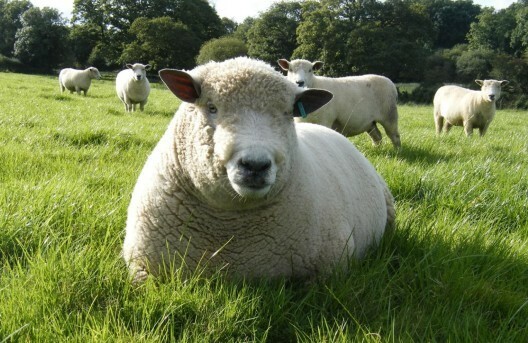 Can you tell us about all the breeds of sheep that supply you with wool for your yarn and why you chose them? What of the properties of the fleece – what makes them good knitting yarns? My cousin now manages the flock and he currently has 450 Poll Dorset, Ryeland and Texel Sheep. Wool from Poll Dorset sheep is highly regarded for its exceptionally high quality, purity of white colour and its density of growth. Although to touch it is not as soft as a breed like Bluefaced Leicester, I have found it softens once knitted and because of its density it is a very durable wool. A placid, docile sheep, the Ryelands not only look very cute, but their fleece is sought out by hand-spinners and weavers for its texture and quality. Like the fleece from Poll Dorset sheep, Ryeland fleece is hard-wearing and does not pill once knitted. Of the 500 kilos of fleece sent up to the spinning mill in Yorkshire, a small percentage would have been from the Texel sheep, which have a dense fleece of medium quality and is slightly coarser than the other breeds. All in all, this combination of sheep breeds has made my wool strong, springy and softens when knitted and blocked. It is ideal for bags, socks, and home accessories like tea cosies and cushions. For more information about my family’s farm and sheep visit their website. Do you have any plans to add more yarns to your range? 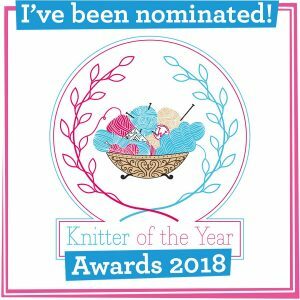 I have recently been talking to a local Alpaca farmer local to me – I live in Hitchin, Hertfordshire, far from the sheep in Wales unfortunately – as I would like to add a percentage of alpaca to the next yarns I get spun. I am also interested in getting some roving or relaxed spun chunky yarn made, which would be suitable for felting. 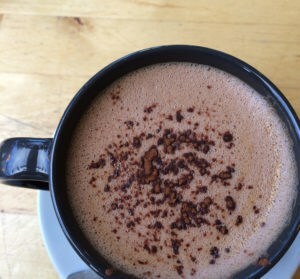 Are you vending at any woolly events that we can tell the readers about? Woolly Chic wool and kits will be on display next at a wool show called Festiwool on Saturday 14th November in Hitchin. I also hope to be accepted to exhibit at Unravel in Farnham in February. Thank you Helen for dropping by KnitBritish to tell us all about you and your yarn. Helen was very kind to send me some of her Pembrokeshire wool to try out and I thought it would be a great yarn for a little colour work. UNFORTUNATELY I cannot find my swatch to take a picture of it – but I will update this post as soon as I do. The yarn has a lovely rustic handle and has an excellent grip on the needles, which is really great for Fair Isle. I also wove some quick samples with this yarn. While its not a strong enough yarn for the warp (you can see that I broke a warp thread or two in the images) it was lovely to weave with and I really love the vibrancy of the colours in both colourwork and weaving. I washed the samples in the machine and they full ever so slightly on a 40 degree wash- I am thinking that this yarn would felt beautifully at hotter temperatures and already thinking of felted slippers…winter is coming! 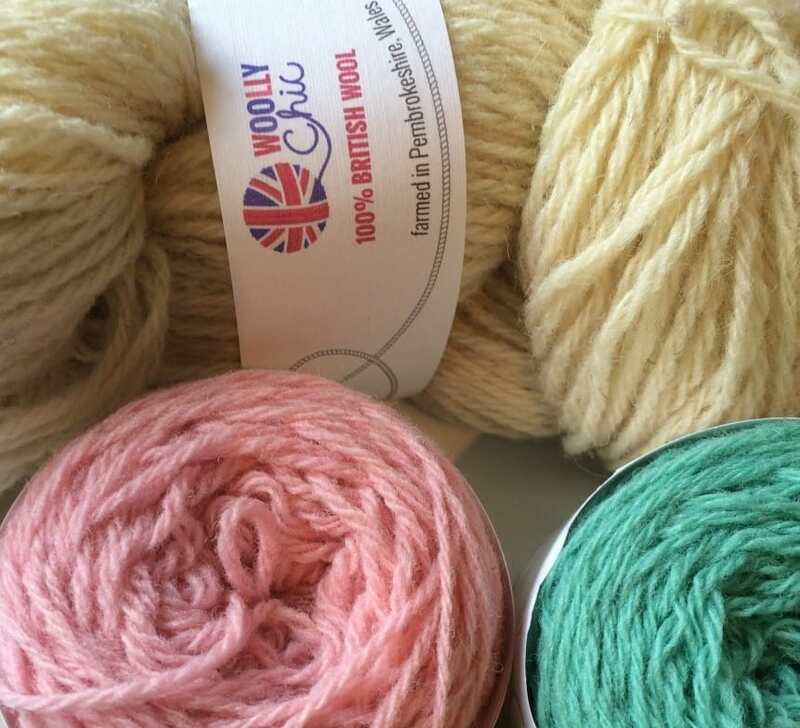 You can buy the Pembrokeshire Wool is both DK and 4ply weights in 25g cakes for £3.50 and 100g hanks for £12. There are four dyed colours available. Helen also stocks Black Welsh mountain in Aran and DK and 100g hanks of the natural cream Pembrokeshire blend DK for £10. In addition to this yarn Woolly Chic also have several kits designed by Helen. From sheep tea cosies, crochet collars and necklaces to teddy bears you can find these at woollychicdesigns.co.uk. You will hear a wee bit more from Helen during Wovember! Thanks again to Helen.